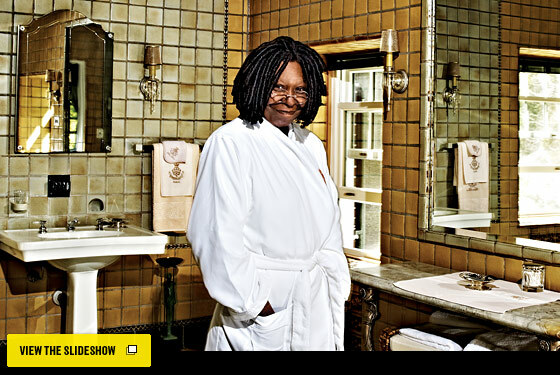 The cover of Whoopi Goldberg’s most recent book, Is It Just Me? Or Is It Nuts Out There?, tells a chilling tale: She is seated in a public bathroom stall, and someone’s stuck their hand beneath the wall divider with a pen and piece of paper, seeking an autograph. Asked if that really happened, Goldberg gives a look, then confirms it—yes, too often. 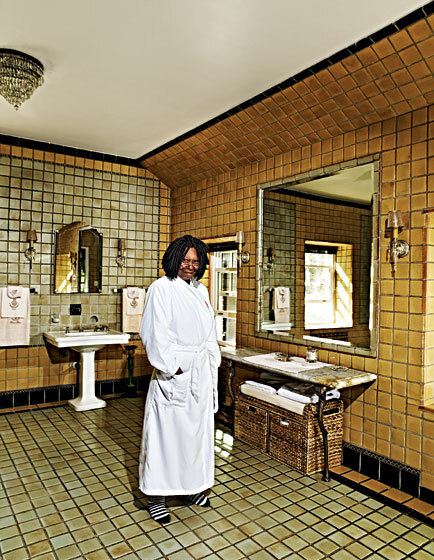 And once she joined the cast of morning chat show The View, in 2007, “Suddenly, I was a bit besieged.” Her loft on Wooster Street no longer felt like a retreat. Goldberg’s business partner, Tom Leonardis, suggested looking at property in New Jersey. “I gave him the stink eye.” She was born in New York, after all. “And then it got really uncomfortable, and I felt I really needed to go.” She says all this while sitting in the huge living room of her Georgian Colonial–style mansion, built in 1927 by a wealthy mogul she identifies only as “the chicken king.” Her eight-bedroom, 9,486-square-foot nest sits in a bucolic spot: New Jersey’s first planned community, which dates back to the 1850s. Once past the security gates, you drive by magnificent estates of all different styles. It’s very stately and very quiet, and when you finally get home, there are no autograph-seekers hiding in the master bath. Goldberg is one of the rare souls who have won an Oscar, Grammy, Emmy, Tony, and Golden Globe. 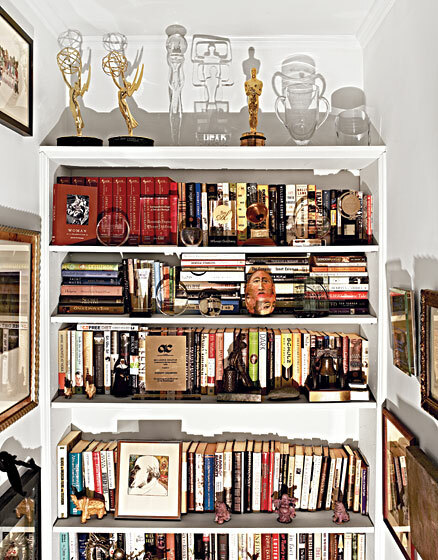 But you won’t see any of them lying about amid the Deco décor she’s so fond of; her awards are stashed away at the very top of the house, where she keeps her collection of rare books, and even there they are hard to find. She purchased the house in 2009, and moved in all the furnishings from her Wooster Street loft along with some stuff she had in storage. 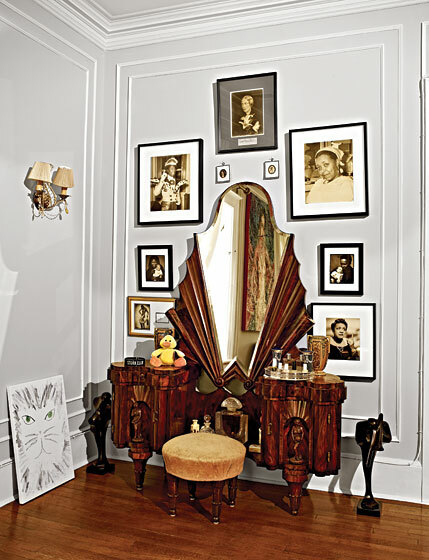 The inner sanctum of her spacious bedroom is furnished with a Deco suite of mahogany furniture and many of her favorite paintings and photographs. She started seriously collecting in 1985, as the result of a chance encounter with Elizabeth Taylor, who used to give her all sorts of career and financial advice. “A lot of what you see here is because of Elizabeth Taylor,” she says.